If you're thinking about college, chances are you're thinking about the SAT. This standardized test, which is required or recommended for admission to most colleges, can be challenging for any student. 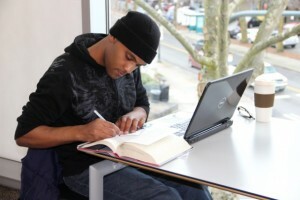 Luckily for you, the King County Library System has lots of resources to help you prepare, including a brand new service from Tutor.com: SAT Essentials. 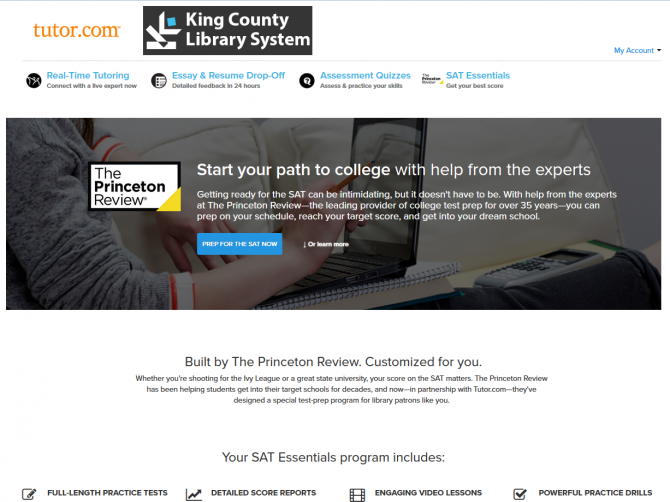 The SAT Essentials online resource is provided by Princeton Review and Tutor.com and is available free with your KCLS library card. To get started, you will need to visit Tutor.comopens a new window and create an account with your library card number. 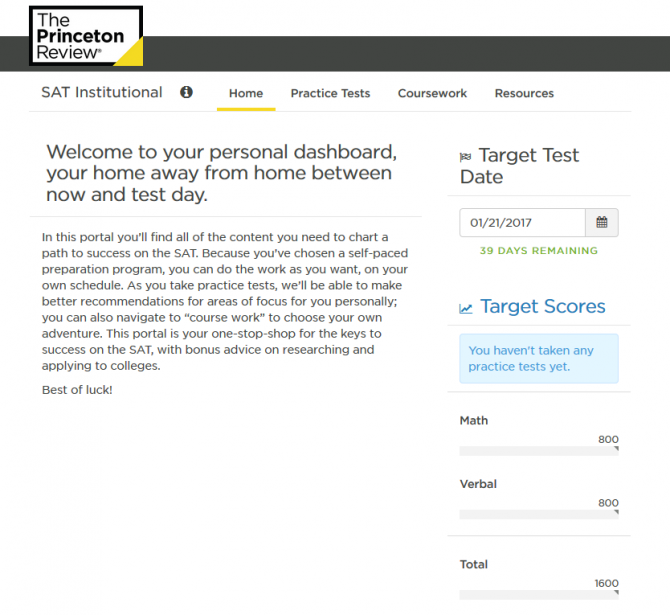 This account will let you save your progress in SAT Essentials, as well as the other tutoring resources available through the site. What can you do with SAT Essentials? Set a target date and score to help you stay on track in your study schedule. 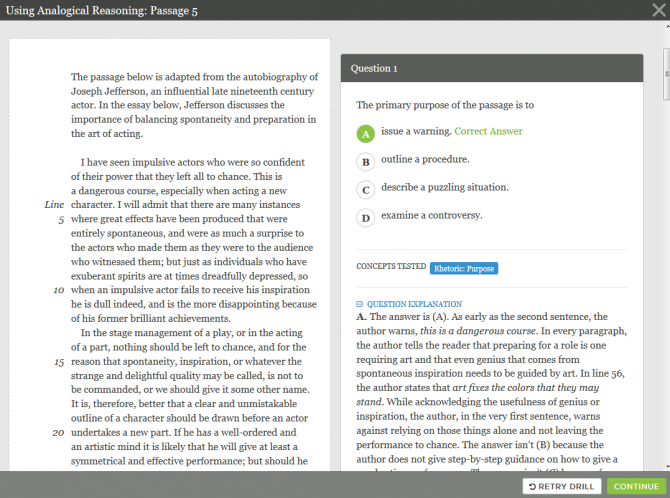 Take a full-length practice test online or on paper, either as a timed or untimed test. The test can be retaken multiple times to see if your score improves. Get a detailed score report to highlight areas of strengths and weaknesses. Watch video lessons and do practice drills for every area within the test. Specific recommendations for areas to work on will be suggested in your score report. Read tips by experts on how to choose a college, write an essay, apply for financial aid, complete the Common Core App and more. Sound good? Go forth and get startedopens a new window—with some preparation, you'll do great! Your personalized SAT Essentials dashboard lets you track your upcoming test date and set score targets to stay on track. An example of a practice drill from a specific section of the test, including concepts tested and an explanation of the answers.